There are no winners in a cricketing scandal that has rocked the sport and brought Australia to its knees, writes GARY LEMKE. Australian cricket is in crisis and the old adage applies that when Australia sneezes, the rest of the world catches a cold. 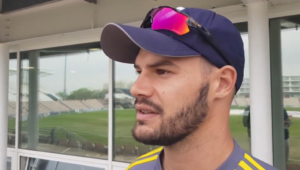 Today, and for the foreseeable future, Steve Smith, David Warner and Cameron Bancroft will feel the repercussions of a brainfart which led them to tamper with the ball in the third Test against South Africa in Cape Town. All three have been banned from the game, in the case of the first two, for 12 months and the latter, nine months, while coach Darren Lehmann has also done the honourable thing and resigned. 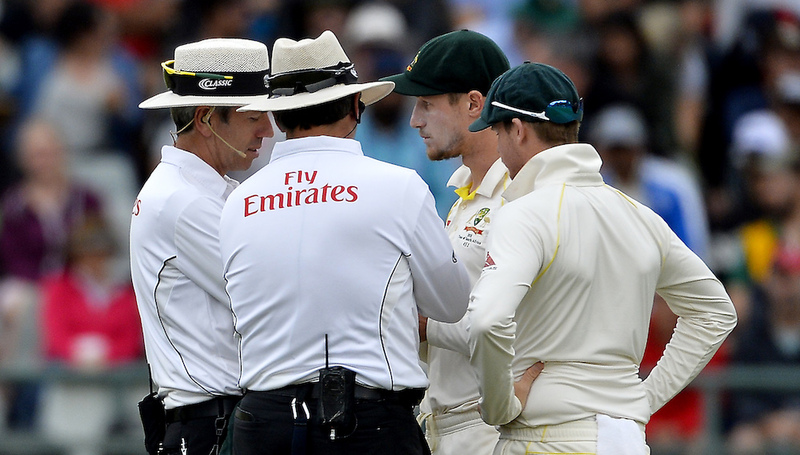 Cricket Australia, the sport’s governing body in the country, has not held back, implementing penalties where the International Cricket Council would not have. It’s reckoned that the role of Australia cricket captain is the second toughest job in the country behind that of being the prime minister. After the bitter and emotional fallout of the past week, one is tempted to say that politics is a walk in the park compared to captaining Australia’s cricket team. Having arrived in Australia ahead of the Commonwealth Games, I’ve had a ringside seat to the events. There is no other show in town, nor the country for that matter, than the soap opera that has seen the dramatic fall from grace of Smith and Warner, and to a lesser degree Bancroft and Lehmann. There has been no let up in the anger, the vitriol, the hurt at what has been regarded as a stain in Australia’s honour and integrity – not just from a cricketing perspective. Every Australian feels hurt, affronted and disappointed. Every man, woman and child feels betrayed and embarrassed by the ball-tampering actions that were caught so professionally and dramatically by SuperSport’s television crew in Cape Town. There has, literally, been no place to hide. Australia’s cricket team, under the captaincy of Smith, and a leadership group that included Lehman and the boorish Warner, have been painted as whingers, hypocrites, poor sports and, on the field, not quite the all-conquering team that bought into the hype. Their fall from grace has been a long time coming, say the locals, and while Cricket Australia has reacted with a swiftness and ruthlessness in implementing unprecedented bans, let’s not also forget how the body behaved in a crass manner during the Ashes, with an outside hand raising four fingers in the air, being displayed at the official post-match celebrations of their Ashes series win. Let’s not forget too the arrogant and juvenile behaviour towards England’s cricketers, by the players, public and media, when the Ashes are contended. Some will say, what goes round comes round. Those people will have little sympathy for the public unravelling of what has transpired over the past week. The champagne has popped and we can’t put the cork back in the bottle, where it should be. There are no winners in this sorry saga – and before one revels in Australia’s misery, also remember that South Africa are no saints. ‘A match ban’ for ball tampering? Du Plessis received a 50% match fee fine and a couple of demerit points penalty. Smith and Warner received 12 months and Bancroft nine months. Yes, Australia’s actions were pre-meditated and we still don’t know how deep the rot is, despite the continued cries of ‘this was the first time we’ve ever done it (ball tampering)’. Those denials seem hollow, in the face of pure logic and common sense. But Cricket Australia has set the bar high, to a place where the ICC wouldn’t want to go. Cricket Australia has told the world, ‘if the ICC won’t root out the scourge of cheating – which ball tampering is, when held up against the cold wording in the laws of the game – then we will’. It had the balls to act. I simply refuse to believe that any other national cricketing body anywhere in the world would have acted so decisively. Losing the captaincy of the Australia cricket team, in a country where the sport is a religion, is like a president or prime minister being recalled by parliament. Yet the reaction, anger and hurt everywhere on the streets is far more extreme and embedded than South Africans experienced recently when Jacob Zuma resigned from office. Smith’s heartfelt apology and teary press conference showed how important the cricket captaincy is. ‘I’m sorry, it was a serious error of judgement. I understand the consequences, it’s a failure of leadership. I will regret it for the rest of my life,’ Smith said. He’s a cricketer, for goodness sakes. Can you imagine a politician showing such remorse, even after they have brought a country’s economy to its knees and been involved in widespread corruption? On the TV news channels in Australia, it’s been blanket 24/7 coverage of the cricketing fallout. And amongst the rubble, I came across a nugget. There was an item that revealed a 13-year-old schoolboy cricketer had received an eight-week ban for telling an umpire to ‘f**k off”. In mitigation, it was argued that the schoolboy hadn’t thought he’d done anything wrong – because he’d seen his heroes – Australia’s cricketers – swearing on the field, through the power and all-intrusive eye of the TV camera. Role models and all that. But South Africans aren’t blameless. What happened to the two Cricket SA officials who happily posed with fans wearing Sonny Bill Williams masks? I dare say, nothing – and the media haven’t held them to account. I was at the press conference in Durban hours after Hansie Cronje admitted to match-fixing in April 2000. Despite the bombshell developments, South African media and officials behaved as though they’d been wronged. There were tears from the Proteas’ media officer, from stand-in captain Shaun Pollock and a general air of disbelief around Cronje. To this day, there are many who still believe Cronje was innocent, or at worst, doing ‘what everyone else did, which lessens the crime’. Much like Lance Armstrong finally admitted to doping, although with the caveat, ‘it was a level playing field’. Ball tampering has been around for decades, whereby players try to alter the performance of the ball. These days, there’s a veritable one-stop snack shop at the side of the field to help cricketers hydrate, sugary sweets, mints, biltong, nuts, juice … all of which can help swing when applied skillfully to the surface of the ball. Australia used sandpaper, in a desperate, amateurish way to gain an advantage over South Africa. But no one died. And the umpires didn’t even replace the ball when alerted to it. In the face and context of it, year-long bans and the general outcry and catastrophic fallout simply don’t add up. Yes, they are cheats. Criminals they are not.